It is with great sadness that Glyndebourne has learned of the death of Sir Peter Hall. Not only was Sir Peter one of the country’s great theatre directors but his contribution to opera was immense and enduring. Most significant in his operatic work were the many fine productions he created for Glyndebourne over a 35-year period. He was Glyndebourne’s Artistic Director from 1984 to 1990 and was influential in the decision to build a larger theatre for Glyndebourne, which resulted in the creation of the new opera house nearly 25 years ago. ‘It was a golden era for Glyndebourne when Peter was Artistic Director. He was loved by both audiences and artists. The productions he created were timeless – as you can tell by the many occasions we have revived them. Sir Peter created 19 productions for Glyndebourne. The first was La Calisto in 1970, a seminal production, conducted by Raymond Leppard, which almost singlehandedly rescued the Baroque composer Francesco Cavalli from obscurity in this country and inspired a revival in early music which continues to this day. Highlights in the years that followed included versions of Mozart’s Da Ponte operas, Le nozze de Figaro, Così fan tutte and Don Giovanni, all conducted by Bernard Haitink; Gluck’s Orfeo et Euridice, in which Dame Janet Baker made her farewell performance to opera; and Sir Peter’s Glyndebourne swansong, Rossini’s La Cenerentola, which premiered in 2005. Perhaps the best loved of all Sir Peter Hall’s work at Glyndebourne is his production of Benjamin Britten’s A Midsummer Night’s Dream. 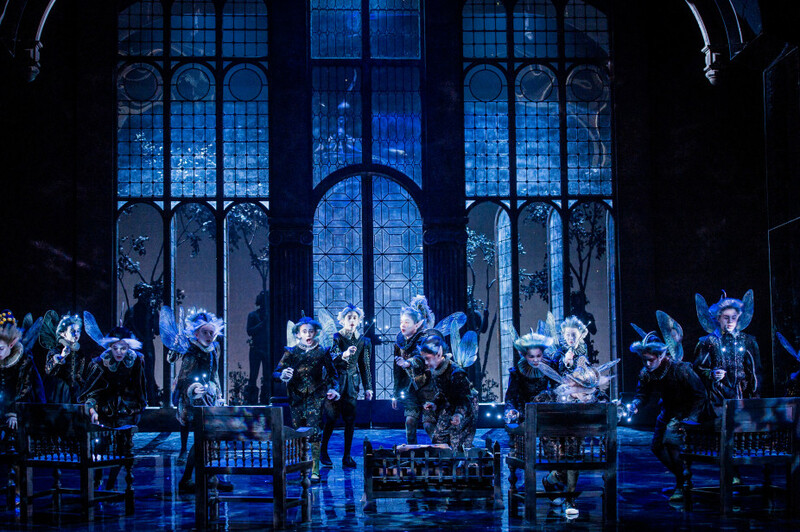 First staged in 1981, it has been revived five times since, and returned as recently as last year, when Glyndebourne members voted this jewel-like, magical show their favourite production of the season. One audience member described it as, ‘the most beautiful thing I have ever seen on any stage’.